Dirak A Leading Door lock manufacturers and dealers in Bangalore Available from us a premium quality range of unmatched quality Europa door locks,Wing Quarter Turn Locks, Swing Door Lock,Smart Door Lock,Round Knob Door Lock, Door Security Lock which is made by our vendors using high-grade raw material like zinc alloy, ms and ss. Door lock manufacturers and dealers in Bangalore to meet the variegated demands of customers, we are instrumental in offering Door Lockers. This Door Locker is available in different dimensions and specifications according to the demands of customers. As per the requirement of our customers, we bring forth a wide array of Door Lockers. 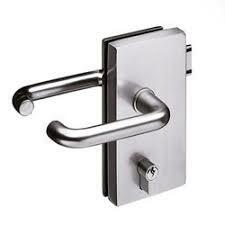 we are involved in providing a supreme quality range of Door Lock. Features of door locks: Lightweight, Low maintenance, Standard pattern. We are presenting a wide array of Door lock manufacturers and dealers. These products are widely demanded by the clients for their durability and reliability. Our products are highly acclaimed by the clients for their precise use and availability. In our products’ development, we make use of superior quality raw material and advanced methods of production, which make our range highly preferable in the industry.